East Vancouver is one of our favourite neighbourhoods to explore. 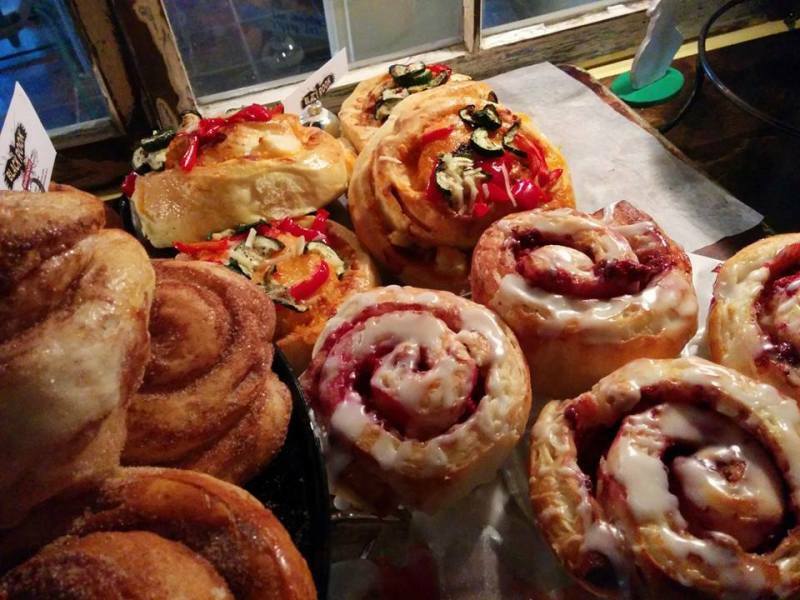 Diverse, candid, and eclectic, you’ll always discover something new in this corner of the city – and that includes the food. East Van is stocked with affordable places to eat and drink, so Vancity Buzz and ChowMeNow are listing a handful of spots where you can sit down and enjoy a meal for $5 or less in this vibrant community. We love pizza and we love brioche, so the combination of the two is pretty much nirvana. The only thing better than this is the fact that it’s $4.75! 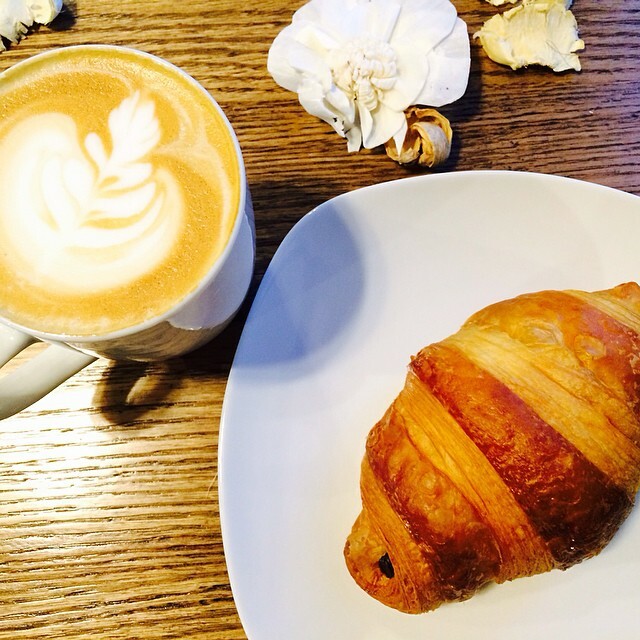 Weekdays before 11am buy a croissant and get $1 off of any espresso drink, which means you can enjoy a pastry and latte for less than $5. Love cheap breakfast? 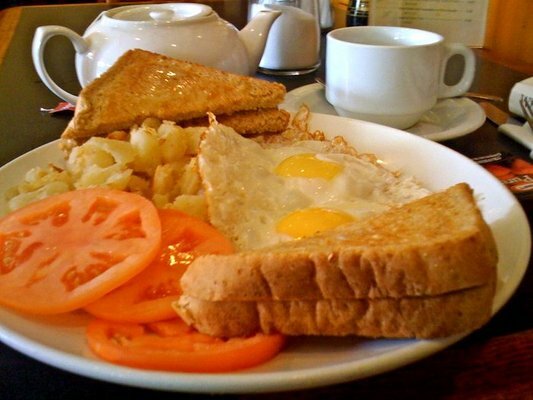 Then head to Kyle’s Café for their daily breakfast special. Two pieces of bacon, two eggs, hashbrowns and toast for $3.50. If you’re more into lunch fare, chow down on their soup and sandwich combo for $4.95. 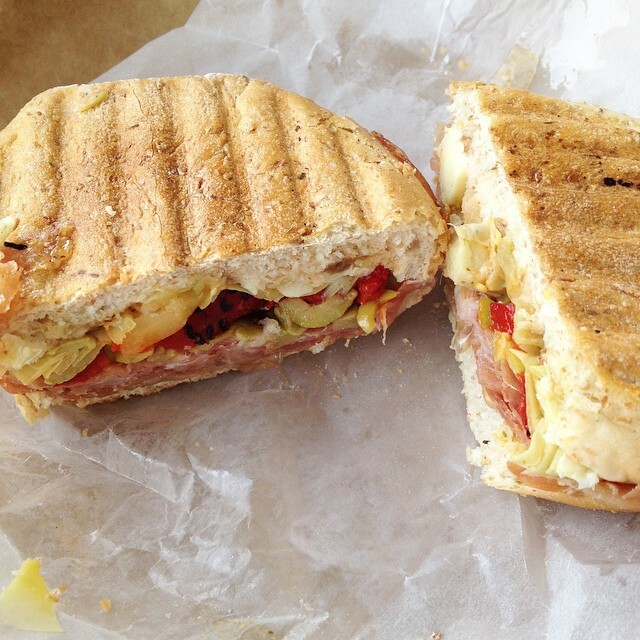 La Grotta del Formaggio is an amazing Italian deli and their sandwich bar is one of the best in the city. With toppings like pickled eggplant, artichokes, and sundried tomatoes, design your meat panini for $5 or veggie panini for $4.50. If there’s anything we love, it’s a cozy spot with cheap food. 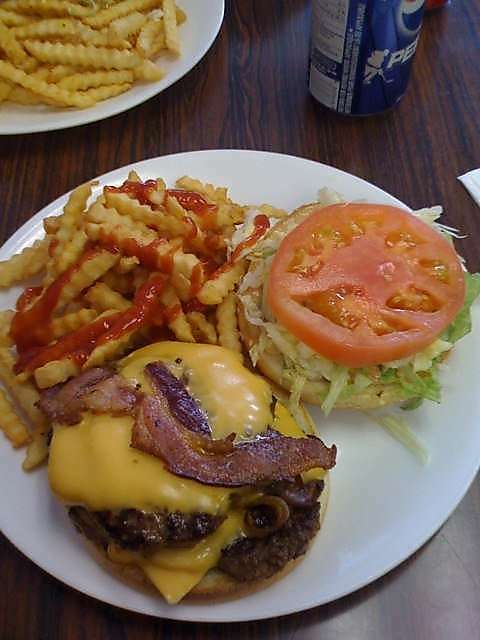 Skylight Café serves up one of the tastiest burgers in the city, and it’s just $4.75. Go ahead, get your grease on! For more meal ideas for $5 or less, sign-up to Chowmenow and get the inside scoop on cheap eats around Greater Vancouver. Connect with Chowmenow on Instagram, Facebook, and Twitter.